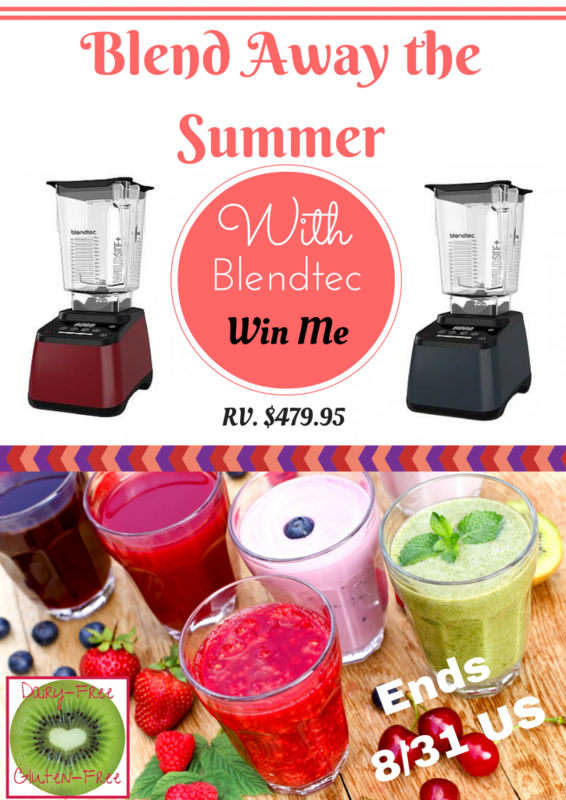 BLENDTEC GIVEAWAY~ BLEND AWAY THE SUMMER!! A great group of bloggers have joined together to bring you this Blend Away the Summer with Blendtec Giveaway! This is a Blogger Sponsored Event which means the bloggers who have joined in this giveaway have donated money to help pay for this Blendtec Designer 625 Blender! You will see the entries of the bloggers on the Rafflecopter who are participating. One lucky reader will win a Blendtec Designer 625 Blender! And the winner will have the choice of 7 colors to choose from! I have a Blendtec Designer 675 and couldn’t live without it! You can read my Blendtec review here. I need a high powered blender to make things that I just can’t make with a regular blender, I have burned too many engines on regular blenders! Have I mentioned that I Love the Blendtec? You have probably seen the Blendtec videos and heard Blendtec say “We’ve blended everything from rake handles to golf balls and glow sticks in our test lab – so you can experience years of trouble-free blending.” And it is TRUE! An intuitive touch screen with easy to see icons makes the Designer 625 more versatile and simple to use. It lights up with a single touch, shuts off automatically, and is completely flat so cleaning is as simple as a quick wipe. Simply slide your finger left or right to control the motor speed for customized blending. Use Pulse for an added burst of power at any speed. No more guesswork! 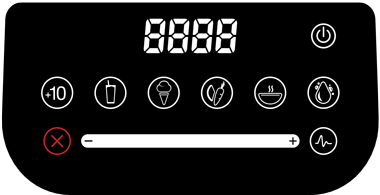 Four preprogrammed custom cycles enable one-touch blending perfection: Smoothie, Ice Cream, Whole Juice, and Hot Soup. Disclaimer: NO compensation was received for the published material in this post. No purchase required to enter this giveaway and there is a limit of one entrant per household. Void where prohibited. Odds of winning are determined by the number of valid entries received. Winner will be chosen by Random.org and will be emailed via the email address used to enter the contest. New winner(s) will be chosen if original winner(s) has not responded within 48 hours of email notification. Participating bloggers are not responsible for shipment of prize(s). This giveaway is not administered, sponsored, endorsed by, or associated with Facebook, Twitter, Google, Pinterest or other social media outlet. Disclaimer is posted in accordance with the Federal Trade Commission 10 CFR, Part 255 Guides Concerning the Use of Endorsements and Testimonials in Advertising. Filed Under: Give Away!, GIVEAWAY Tagged With: BLENDTEC GIVEAWAY, Giveaway!! I like Six-Speed Touch Slider + Pulse. I have never had a blendtec, but after reading about it, I love that it has an 8 year warranty and that it has a super strong blend! I love that it has preprogrammed cycles. I have wanted a Vitamix for years, but the Blendtec sounds even better! Thanks for a great contest!! I love a lot of things about it but the first thing that came to mind is I can make hot soup in it. I love the power that it has! I love the 8 year warranty, and the preprogrammed blend cycles! Thanks for the chance to win! I love that it is such a workhorse! Nothing will stump it. I like that a Blendtec *actually* crushes ice. I drink a shake every day, and it’s frustrating to end up with a gritty texture or big chunks in there. I love the preprogrammed cycles. The Blentec is so versatile it can eliminate other kitchen gadgets. My favorite aspect of BlendTec is the quality and craftsmanship they put into everything they make. Not many companies do this in these times.